ONCHAN, Isle of Man – February 28, 2017 – PokerStars second instalment of #raiseit, the global social media campaign featuring Team PokerStars SportStar Cristiano Ronaldo and renowned basketball player Dwyane Wade, has been a success around the world with their unique series of videos surpassing 112 million views. The entire campaign, which features other legendary sports stars, has now surpassed 158 million views on social media and www.nowraiseit.com. 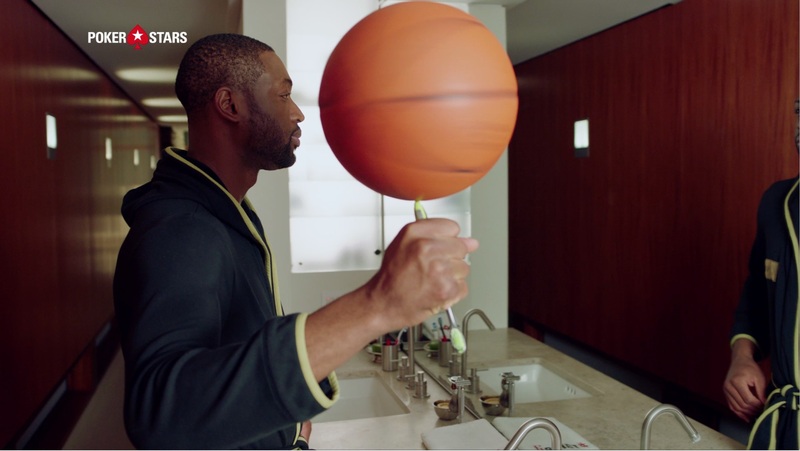 Sports fans across the globe watched football sensation Ronaldo and NBA star and Chicago Bulls player Wade attempt to one-up each other in the series of playful yet competitive videos created by the world’s largest online site, PokerStars, an Amaya Inc. (Nasdaq: AYA; TSX: AYA) brand. The series played out from November 2016 to January 2017 on Ronaldo and Wade’s social media channels, introducing millions of people to the PokerStars brand. The unique videos saw the sporting superstars showcase an impressive array of trick shots while carrying out everyday tasks in seven rounds of the fun social duelling campaign. The various rounds included Superstar Wake-Up, Meme Battle, Happy Holidays, Getting Ready in Style, Breakfast My Way, Extreme Workout, and Aerial Duel, with Superstar Wake-Up and Getting Ready in Style proving to be favourites with viewers. Cristiano Ronaldo said: “#raiseit encourages people to show the talents they have whether it’s something they use everyday or a secret talent that they can surprise people with. It takes a lot of hard work and dedication to become the best at what you do so I really enjoy challenging others to do better as it keeps me on my toes. Ronaldo and Wade’s #raiseit videos, which they posted on their social media channels, were part of the second instalment of the popular #raiseit campaign by PokerStars. Team PokerStars SportStar Neymar Jr and Brazilian football legend Ronaldo Nazario took part in the first campaign where the pair took on drone, egg/teabag, and tablecloth/toothbrush challenges in June last year. Overall, the videos for both campaigns have received more than 158 million views. As well as receiving outstanding viewing results, the videos received millions of likes and thousands of comments and shares on social media channels. #raiseit also made headlines around the world with articles about the campaign featuring on well-known news outlets such as The Daily Mail, Goal.com, Yahoo, and Sky Sport Italia. In addition, Wade appeared on popular radio and TV talks shows The Dan Patrick Show and ESPN’s Mike & Mike to talk about the challenges. #raiseit is a fun take on the poker mentality of raising the stakes in order to ‘one-up’ your opponent. It showcases the competitive nature of poker and sport, and the focus, tenacity and endurance needed to succeed in both activities.